With over 20 years of record collecting and more than 15 behind the turntables, Chris Read is well qualified for his position as Classic Material resident DJ and curator. His 2007 mixtape release ‘The Diary’, an 800 track strong megamix of hip hop’s landmark recordings, has become a cult classic and given Chris a worthy reputation as something of a rap historian. 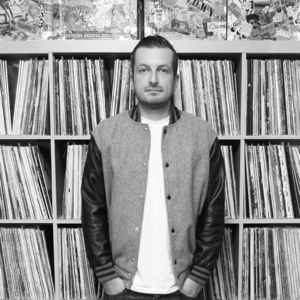 For over 10 years Chris was responsible for one of the UK’s largest regular hip hop events. Having enjoyed a 2 year residency on BBC 1Xtra and performed at some of the UK’s most prestigious venues as part of a BBC New Urban Music award winning jazz outfit, Chris is best known in recent years for his steady output of remixes and mixtapes, downloaded in tens of thousands by a loyal online following. As well as DJing at Classic Material events, Chris will be producing Classic Material’s monthly mixtape and curating the series of events and design projects.